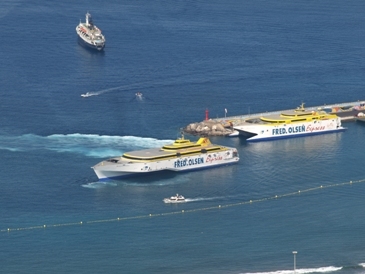 The Canaries’ biggest ferry company, Fred Olsen, has announced it is to cut some services and reduce staff in an attempt to mitigate the effects of the current economic crisis. Soaring fuel costs have driven prices on inter-island routes up through recent surcharges but the increases have been insufficient to meet the full cost of the crisis. The company says that cutbacks are necessary help make considerable savings on fuel and maintenance, and they are in talks with employees to temporarily suspend some positions until the situation improves. Schedules will be adjusted on almost all routes.